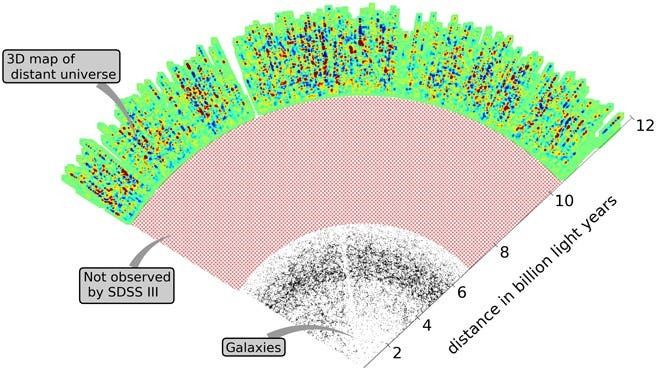 Illustration of where the new SDSS map data exists in space and time. These features arise as the light from the quasar is absorbed by the intervening neutral hydrogen. This gives one-dimensional information about the fluctuations in the neutral hydrogen density along the line of sight to the quasar. When spectra of many quasars are combined, it allows one to build a three-dimensional image of the fluctuations in the neutral hydrogen density and thus infer the corresponding fluctuations in the matter density. 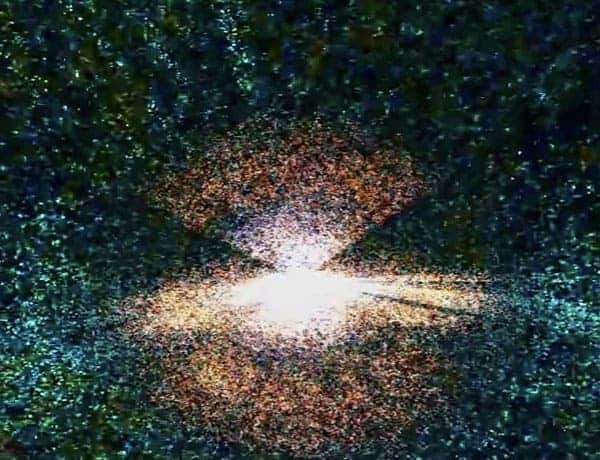 Previous attempts at creating a working 3D map of the Universe have been with successful results in the past, but they had only gone as far as plotting galaxies 7 billion light-years away from Earth. This new version goes far beyond anything previously attempted in distance and time, as it charts clouds of hydrogen as far as 11 billion light years. Of course, it’s not like someone will be able to chart through these maps anytime soon, especially considering we’re having difficulties reaching infinitely closer points compared, like Mars, but these mapped out 3D representations will provide absolute invaluable insights towards the formation of the Universe, and help answer numerous puzzling questions astronomers have long been after, including the nature of dark energy. Data for the map was scanned with the help of the Baryon Oscillation Spectroscopic Survey, or BOSS, which can analyze light from individual quasars. The team analyzed 14,000 of about 160,000 known quasars and by 2014 astronomers hope to have 50,000 or 60,000 quasar slices in their grips; enough data, they hope, to finally elaborate a meaningful hypothesis concerning the formation and fate of the Universe. The researchers also plan to release a proper 3-D representation of the data (instead of the 2-D images shown here) for the public by then. 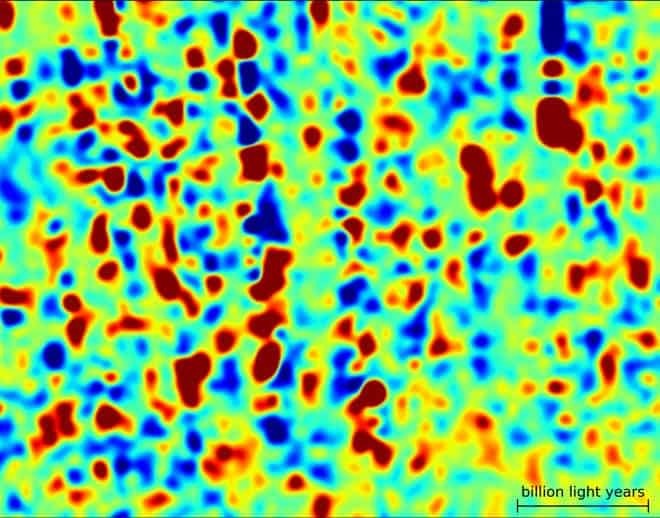 Slice of the full map showing the density of hydrogen gas in the ancient universe. Blue represents little gas, while red represents dense clouds.